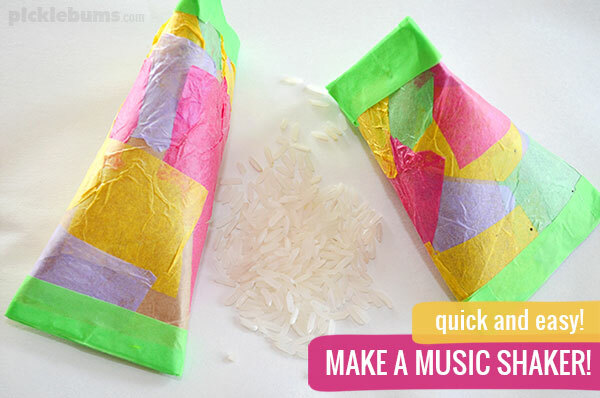 10 DIY Music Shakers and 4 Shaker Activities. Music is so good for kids, and for us adults too, and I know some of us are not so confident when it comes to exploring music with our kids. But music activities don’t have to be difficult, and you don’t have to be able to play an instrument, read music, or even sing! One of the easiest, and most fun musical activities is the good old music shaker. Shakers can be used in so many ways, and while you can buy lots of great shakers (we love these simple egg shakers – affiliate link) they are super easy to make and there are so many fun ways to use them. We made these simple cardboard tube shakers in just ten minutes. rice, corn kernels, stones or other small items. markers, paint, collage materials, or more tape, to decorate them. 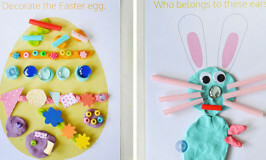 Cut the cardboard tubes into pieces around 5-6 cms long and decorate them any way you like. We used a glue stick and coloured tissue paper to decorate ours. Once you’ve finished decorating the tube, flatten one end and staple closed. Add some tape over the staples to make sure it is well sealed. Carefully put one or two spoonfuls of rice (or other noise making items) into the tube, and then flatten the open end in the other direction – so one end will lie flat on the table while the other will sit up and down. Staple and tape the end closed. Simple Corn shakers – from Pre-K Pages. 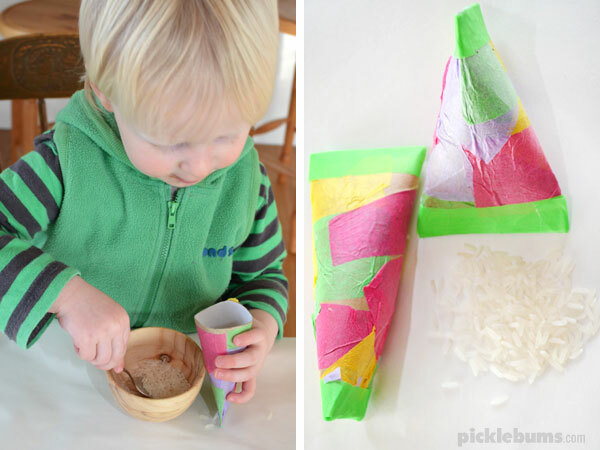 Another quick and easy toilet roll shaker – from The Craft Train. 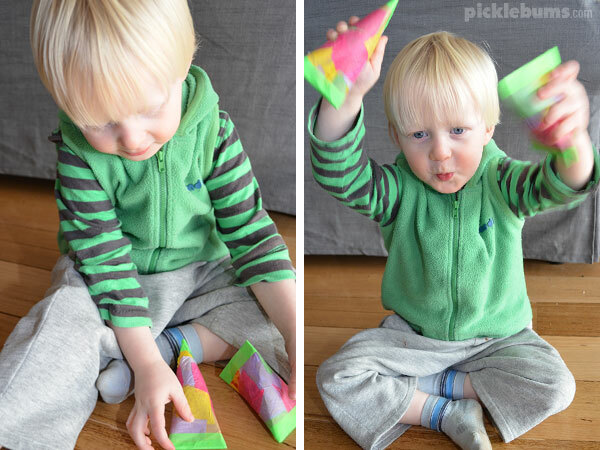 We love these mini sound shakers – from Buggy and Buddy. So many great ideas for what to fill your DIY shaker with – from Be a Fun Mum. I love these homemade bottle shakers – from Let’s Play Music. 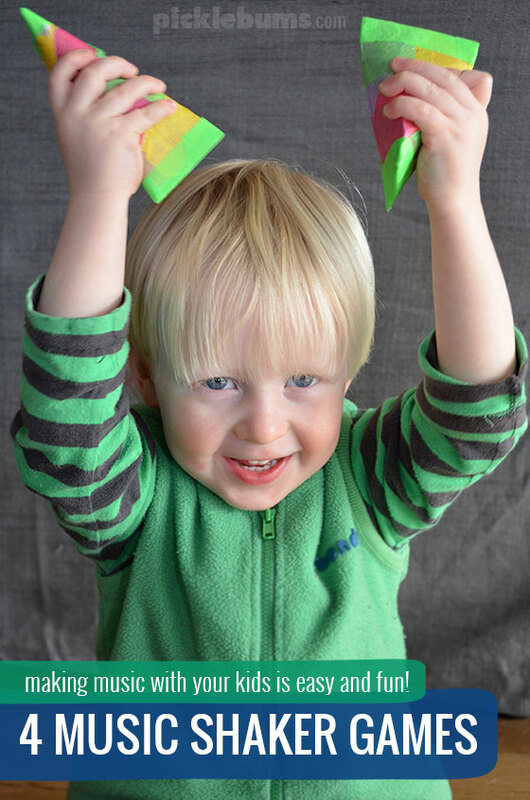 Make an easy paper plate shaker – from Nurture Store. Adding rainbow ribbons to this music shaker makes it even more special – from Kids Craft Room. Now that you’ve made some shakers, what can you do with them? Four Easy Music Shaker Activities. Play and Stop Listening Game. A great place to start with musical instruments is teaching when to play and when to stop playing. This simple activity encourages listening and following simple directions. Starts with the shakers on the floor in front of the child, and their hands in their lap, because if a child is holding a shaker in their hands it is almost impossible to resist giving it a bit of a shake! Ask the children to listen for two words – ‘play’ means pick up your shaker and make music, and ‘stop’ means put your shaker on the ground and put your hands in your lap. Play some music and say ‘play’ to begin playing and ‘stop’ to stop, stopping the music at the same time. As they kids get good at listening for your words, try it with just starting and stopping the music. This is another simple listening game that introduces some beginning music concepts. Start with fast and slow – when you say fast they play fast, when you say slow, they play slow! Next try loud and soft, and then try with all four instructions together. For older kids you can try playing along with some classical music that has changes in tempo or intensity. They will need to listen to the music to know when to play fast, slow, loudly or softly and they can call out the word when they hear the music change. 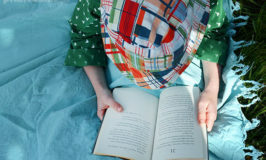 A few pieces that are good for this activity are the Carmen Overture by Georges Bizet, In the Hall of the Mountain King by Edvard Grieg, and Radetzky March by Johann Strauss. This is another fun listening game, but this one involves moving your whole body so and you’ll need enough space to stand and move around. Play some lively, fun, music and ask the kids to play their shakers either ‘up high’ above their heads, ‘down low’ near their toes, ‘in front’ near their belly buttons, or ‘around the back’ behind their backs. For older kids you can also work on the concepts of left and right, and for a little bit of fun add in a ‘go crazy’ instuction and have the kids play their shakers wildly however they like. This is an echo game that will not only encourage the kids to listen but will introduce them to the idea of beat and rhythm. You play a simple beat or rhythm with a shaker then the kids repeat it back to you. Start of with very simple 2-4 beat combinations – ‘shake shake’ or ‘shake shake shake’. Once they have the hang of the game start varying the speed to reintroduce the ‘fast and slow’ concepts from the previous games – two fast shakes or four very slow shakes etc. For older kids start introducing more complicated rhythms – 2 slow shakes and 3 fast shakes or 2 fast shakes and 2 slow shakes etc. Try turning the tables and getting the kids to make a rhythm for you to copy. Enjoying music and exploring some basic musical concepts with our kids doesn’t have to be difficult or daunting. You don’t have to be ‘musical’ to make music with your kids, just break out your shakers, turn up the music, and make some noise! Going to try tomorrow! ? 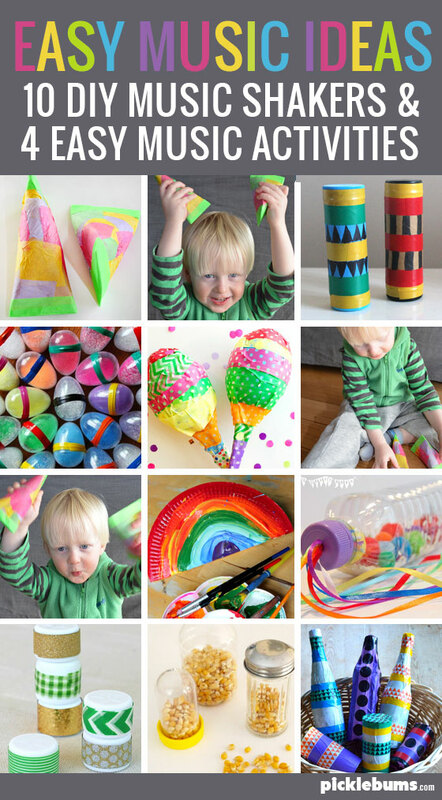 Home » 10 DIY Music Shakers and 4 Shaker Activities.